WordPress has become one of the most widely used design resources available for web development in 2013, with around 54% of all sites that are known CMS sites using WordPress over Drupal and Joomla. The all-round figure for all sites that use WordPress globally is 17.4%, making it by far the most successful web building tool in the world. This has led to a huge number of tools becoming available to help developers make light work of WP design, as well as themes and plugins for functionality without too much coding. With this in mind, I’ve put together some of the more useful tools that are currently available to help with WP development. This is an easy-to-use tool that allows you to create “advanced applications” built on WP via a series of simple forms. The generator was dreamed up by web developer Rami Yushuvaev, who contributes to the WP codex and is responsible for the release of the Hebrew WP edition. The generator uses a Twitter Bootstrap framework for the front end and iconic fonts from Font Awesome. 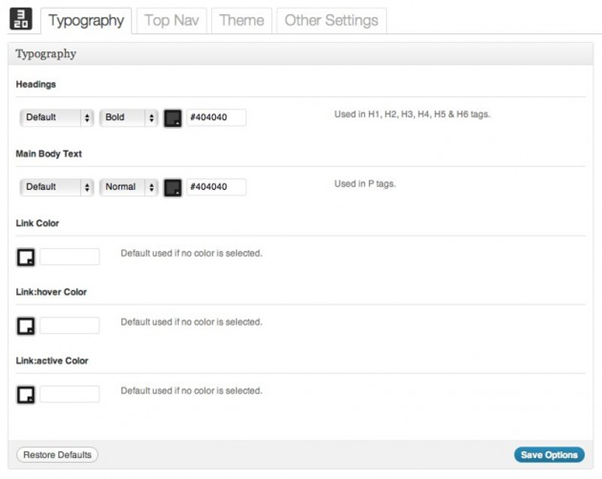 All of these use WP functions and allow you to add elements such as color, images, padding and so on. 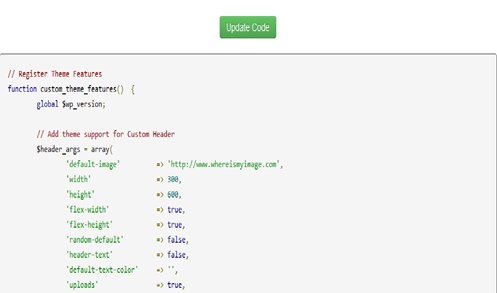 These are simply inputted into the form, according to what you want and then you hit the ‘update code button’ and voila, the code is ready for you to copy and paste into the WP editor. This is extremely useful for creating code snippets for function.php files and really does away with the need for developers to have to refer repeatedly to the WP codex for code samples. This is a basic theme based on Twitter’s Bootstrap v2.1.1 and built on top of the Bones theme framework. It’s fully responsive and if you visit the main page for the tool on your mobile, then you will get a fair idea of how your project site will behave. The theme can of course be used as it stands, or it can be edited to suit a particular project or adapted to make a bespoke theme for a client. Another useful basic theme, HTML5 Blank is an open source template which allows you to build a HTML5 site in WP. It gives you a basic set of CSS resets and a typical file structure for WP and is perfect from starting your HTML5 theme project from scratch. This is not suitable for running on a site immediately and is really just a handy little framework, rather than a fully-fledged theme. 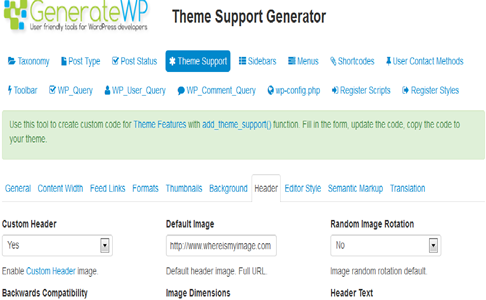 It does away with the hassle of editing existing themes such as the WP default. Created by Tom McFarlin, this is an excellent resource which gives you a large collection of boilerplate templates to choose from on GitHub, saving you an awful lot of time. 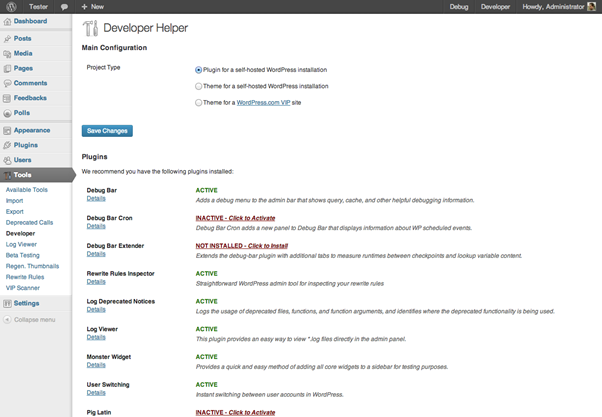 These target WordPress widgets and plugins and are PHP files which will need a stylesheet or JS script for the admin panel. Ideal for those looking to start developing their own plugins, this is a great time-saving resource that shouldn’t be ignored. A plugin designed for developers, by developers. This is intended to help designers optimize their environment by ensuring that all of the essential tools are already installed. First the plugin asks you to enter what type of developer you are in order to ensure that the development environment is suitable for your needs. It checks that you have the necessary plugins needed for the project and that all of the settings are adjusted to suit as well. Ideal for saving time, as it will check you have everything you need, this is a great little addition to any WP developer’s toolbox. If you’re starting from scratch with WP, or even if you’re accustomed to using WP, you can never have enough learning. Think about it, if WP is the most used CMS in the world, with more users than all of the other CMSs put together, then there is plenty of opportunity for developers to gain new clients as a WordPress ‘expert. The WordPress Lessons codex has in-depth articles for all levels of development from simple blogging to theme and site development. It even has a section on SEO optimization, which is something that not all designers want to play with, but is really quite essential in order to provide the best service to the client. For more official WP resources, check out Making WordPress for a comprehensive set of tools, plugins, themes and documentation. It pays to become a top WP developer; in 2011, an official survey found that designers that could work with WP made a median hourly rate of $50. This doesn’t sound that much really but is also bound to have increased by now, as WP has become increasingly popular. If you’re willing to learn enough to be a top developer, then this median rate of pay will be higher, but this does take commitment and it also requires you to market yourself as such. This means joining the WP community and getting involved with discussions, creating patches and plugins and even putting up the odd tutorial to help other developers. If this all sounds like you, then get reading and coding in WordPress now, using some of the above tools and resources.